The resources were borne out of close cooperation and research between AEV, AEO, ESSA and their members working in cooperation with the Health & Safety Executive (HSE), via cross-association member working groups, sector committees, one-to-one meetings and industry forums. The resource pack is a structured guide offering industry specific guidance and best practice to meet the CDM regulations. The resource pack outlines the responsibilities of those people with key roles under CDM 2015 and provides proportionate, best practice consideration for the actions that could be taken to discharge those duties. 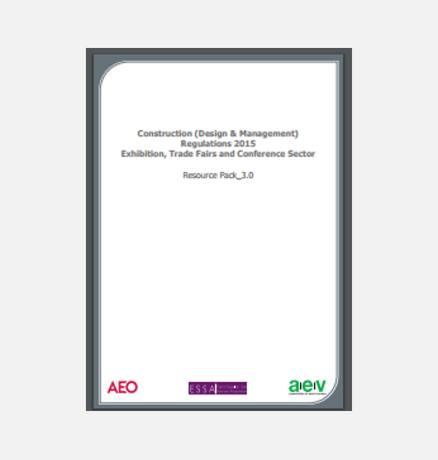 The pack includes a full set of templates covering areas including construction phase, method statements, risk assessments and roles and responsibilities. 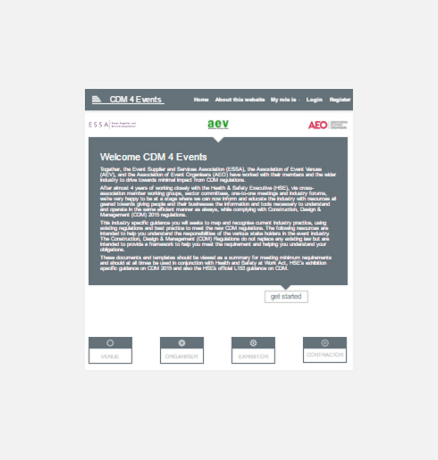 The CDM website generates and stores documentation to meet the Construction Design Management Regulations. Although the website is free to use, you will need to register first. On the site, you can create method statements, risk assessments and construction phase plans. You do this by following a step-by-step process in a series of simple forms. When complete, you can save the forms as PDF format in your storage area, email them, or print them out directly. 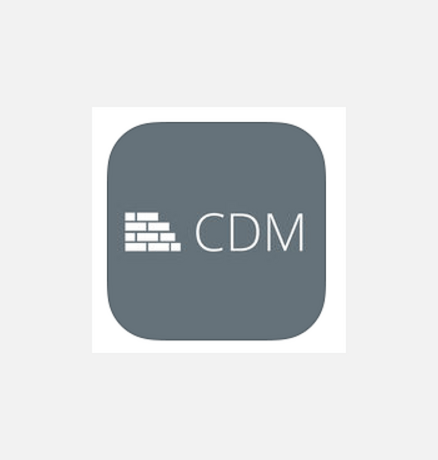 The CDM app is available for iOS, Android and Windows. The app provides a handy mobile version of the functions found on the website so you can create method statements, risk assessments, organograms and construction phase plans on the move. Once complete, you can save the documents locally on your device or mail them to a designated email address.